All HIGHLANDS AT LAS SENDAS homes currently listed for sale in Mesa as of 04/22/2019 are shown below. You can change the search criteria at any time by pressing the 'Change Search' button below. 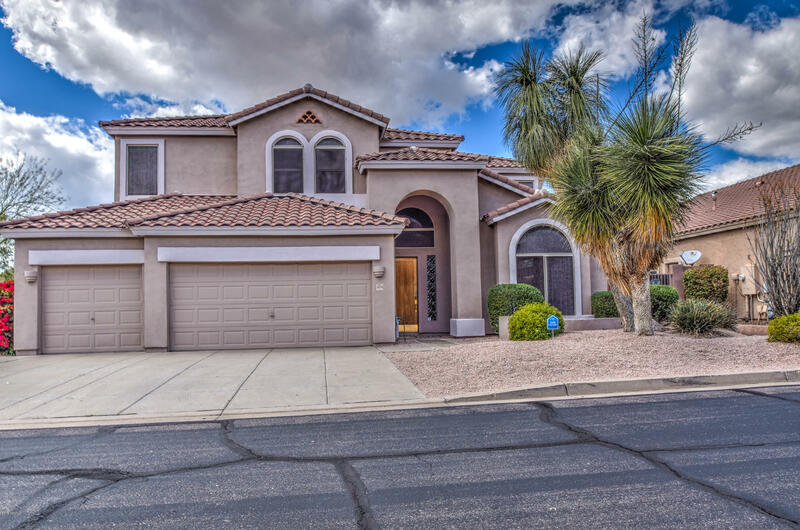 "This gorgeous 5 bed 4 bath Home in the highly sought after Las Sendas Gated Community is a must see! The Stylish Kitchen has Granite Countertops, Huge Kitchen Island and opens up to a Spacious Great Room. There is a Mother-In-Law Suite downstairs. The Master Suite features a Cozy Fire Place, Private Bathroom with Separate Tub Shower, Walk in Closet and a Large Private Balcony with Stunning Views. Outside, you will love the Resort Style Backyard with a Sparkling Pool, Rock Slide, Built-in-BBQ, an"